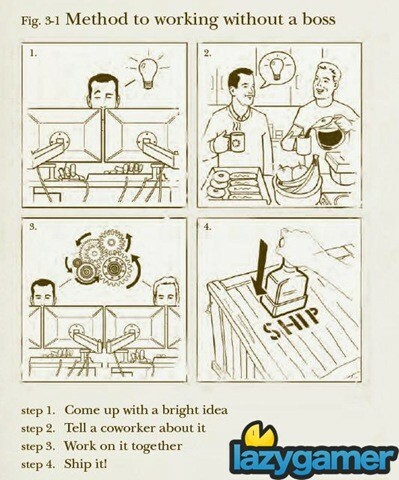 Ever wondered what it would be like to work at Valve? Sure you have! Imagine rocking up to their offices one morning, a briefcase in your hand full of great ideas, while Gabe Newell fires warning shots at wild journalists who happen to be brandishing questions about Half-Life 3, from his balcony. But it’s probably just another 9-5 job over at the Steamy headquarters, isn’t it? Perhaps not, as the new employee handbook would indicate. A poster over on the Flamehaus forums recently uploaded a PDF of the book, which you yourself can download and peruse here. 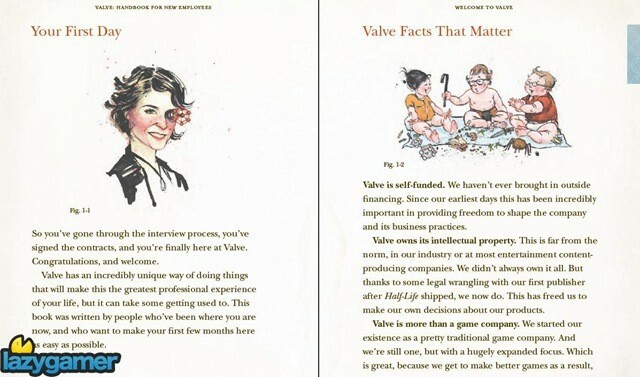 Valve’s Greg Coomer responded to the post in an email, saying that the creation of the handbook, was a way to make things “as easy as we could for new people to join the company”, and that it was fun to “capture these thoughts and put them all in one place”. And it really is a fantastic look at the mindset of Valve, showing how flexible the developers are, and how inviting their working environment really is. It’s something that companies could learn and benefit from. 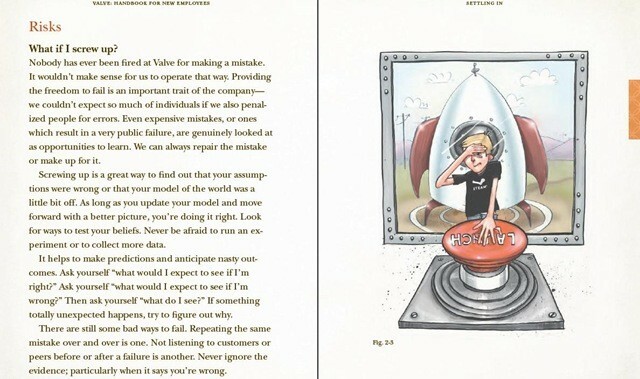 For those of you without the means to download four megabytes of employee guidelines and motivation, here’s a look at some highlights from the book. Previous article Dungeon Hunter: Alliance review (PSVita) – There is more than one cave!